Mobility Transfer Systems Inc. helps to make life easier for the elderly and disabled. 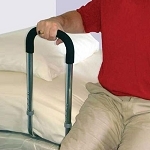 Mobility Transfer Systems offer customers a large selection of bed rails, bath safety, mobility aids, commodes, fall prevention and a variety of other home healthcare products that will improve their quality of life. For over 30 years, MTS has been a leading manufacturer and seller of brand-named, medical supplies and equipment. Caregiver Products is proud to provide a vast supply of medical equipment, mobility aids, and more by Mobility Transfer Systems Inc. Durable fabric slide helps make getting in and out of a car seat easier. 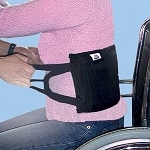 Provides caregivers with a secure hold and control during patient transfers. 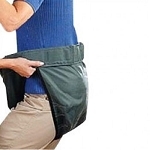 Gait belt with soft lining helps prevent skin breakdown and increases patient comfort. Helps caregivers make transfers easier for those who are able to stand but cannot readily move their legs. Helps bridge the gap between two transfer points. More comfortable for assisting transfers for users with abdominal sensitivity. Useful for small transfers, repositioning and moving from bed to wheelchair. 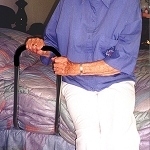 Safety bed rail designed to provide support for users to get in and out of bed safely. 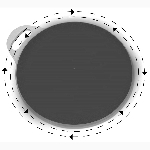 Helpful with rolling, turning, boosting up in bed and transferring individuals from one surface to another.